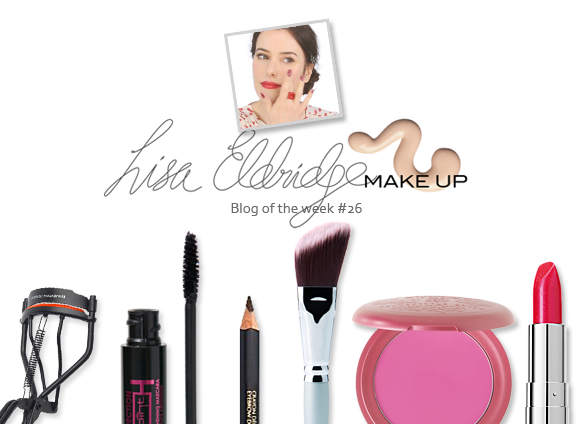 Blog of the Week this week goes out to Lisa Eldridge: infamous makeup artist, vlogging supremo, purveyor of beauty tips, and all-round beauty blogging guru. Lisa’s blog is a treasure trove for those who love beauty. Her status as a celebrity makeup artist means that she handles some incredibly high profile jobs, and she shares the secrets of a considerable number of them with her many fans. If you love the look of Gemma Arterton’s skin or Helena Christenen’s eye colour, Lisa not only tells you which products she used on the ladies, but also how she achieved the look. In this regard, Lisa is definitely one of a kind in the beauty blogging world – she provides all of this information straight from the horse’s mouth, and you can trust in the products because she was the one who created the looks! Lisa’s how-to videos range from look recreations to makeup basics, and these are the posts that I love the most. Her Great Basics videos are an absolute must-watch for those who are unsteady on their beauty feet, as they detail all of the tips and tricks that you need to get the perfect base. Plus, Lisa’s not afraid to go bare-faced in front of the camera, which is always a lovely and refreshing thing to see. Check out Lisa’s website here, and check out her YouTube Channel here. This entry was posted on Friday, July 1st, 2011 at 8:00 am and is filed under Blog of the Week. You can follow any responses to this entry through the RSS 2.0 feed. You can skip to the end and leave a response. Pinging is currently not allowed.